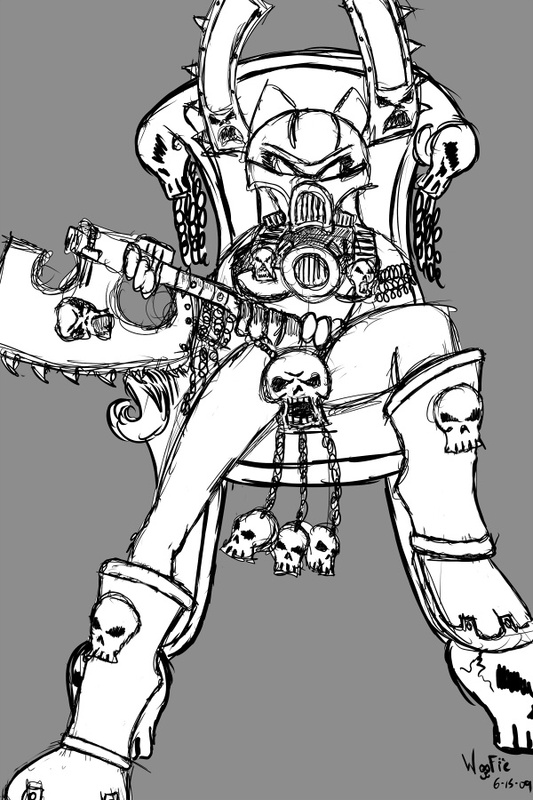 As per another suggestion for my sketches it was mentioned I made Acid up in the Khorne Berzerker style. I did some checking and I really hope this is the right one. A few came up. So a big thanks goes out to stripecat for their sketch suggestion.